Avel Glaz means Green Wind in the Breton language. 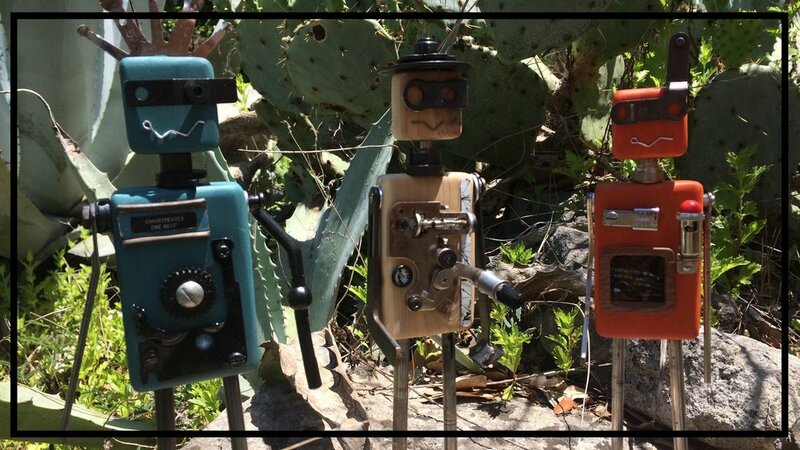 I create robots and jewelry made of recycled materials. Hidden deep within flea markets, antique shops and garage sales, I find and fabricate all the individual metal pieces together, and after hours of joyful assembly, bring them to life. I firmly believe in this recycling project and its philosophy. Life is returned to the useless, broken and lonely objects.